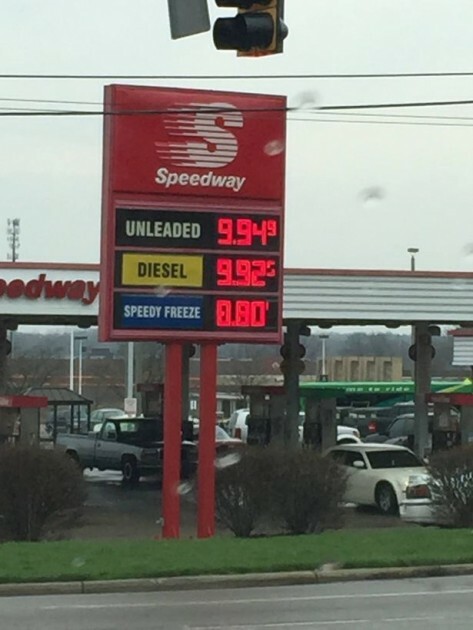 Most people in America are still enjoying relatively low gas prices, but the good people of Dayton, Ohio, are being charged nearly $10 a gallon, thanks to some outrageous price gouging apparently committed by Zeus himself. 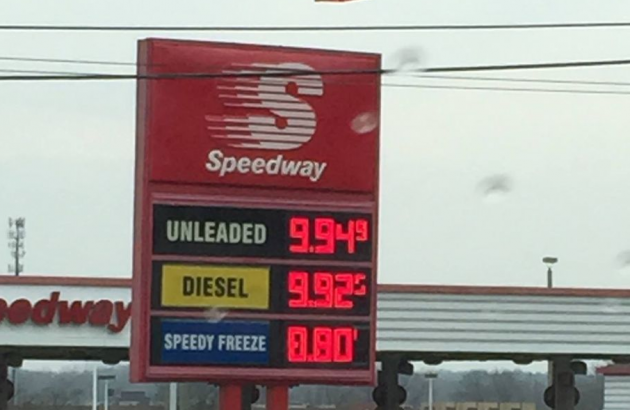 The Dayton Daily News reports that a Speedway in Trotwood, Ohio, was struck by lightning last Thursday, causing the sign to read $9.94 per gallon for regular gasoline and $9.92 per gallon for diesel. The lightning bolt also raised the price of a Speedy Freeze to $8.80, which seems particularly egregious. Of course, the real price of gas at the Dayton Speedway was $2.24 per gallon, and that’s what patrons were actually charged. However, the altered sign probably inspired a few double takes from drivers traveling along the 2000 block of Shiloh Springs Road. At ten bucks a gallon, Cadillac Regret drivers in Southwestern Ohio are probably kicking themselves right now.